in India. Brother Prakash - Pastor. 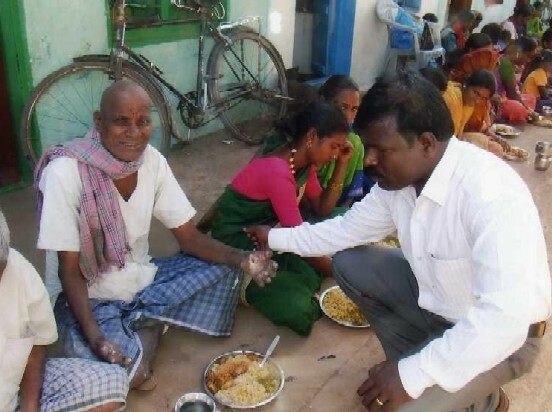 Reach the cites and villages in India through the Gospel of Jesus Christ. Plant churches and meet people's material needs in the surrounding villages. Buy land to build church, orphanage, HIV home, and living quarters for staff. I was born in the year 1971, in the village called Motebennur, in India. I was born to parents who were very poor. We were 12 children in all. Since my parents could not take care of me, they sold me to someone when I was 6 months old. In the year 1980 I remember sleeping in the railway station and bus stations. I was going around without any food, water, shelter, and clothing. 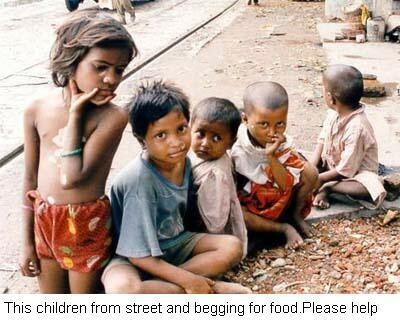 None of my basic needs were being met because there was nobody to help me. Sometimes I begged for food. I was also put in crèche (care center) at a young age and thrown out later. Through somebody whom I don’t even know, I was educated. I finished my 10th grade in the year 1990. I grew up very depressed, discouraged, and without a meaning to life! There was nothing to achieve, because there was no job or resources. There was absolutely no hope for me! Then a friend of mine took me to an evangelist meeting in Hubli. There God touched me. He filled me with His immeasurable love. I wept very bitterly, then all of a sudden, I felt so light. All my past hurts, bitterness, and depression vanished away in a fraction of a second! I felt such a comfort that day, when I gave my life to Jesus and accepted Him as my personal Savior! It was 1994. Since then I have been living with a new hope! A hope that one day I will spend eternity with Jesus who saved me from the clutches of this dark and wicked world. Later in 1995 I joined a one year Bible study in our town. I have been growing ever since because of Jesus. 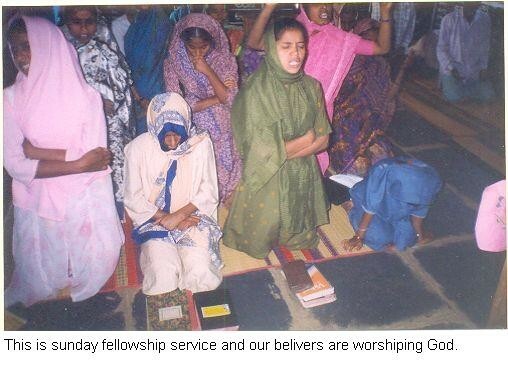 Now in 2008, God is using me in India. Through my ministry many people have come to the Lord. Some people have also become pastors and evangelists. I give all glory to Jesus! God has helped me to plant 2 churches in villages. I am mainly focusing on non-Christians who are Hindu and Muslim. Thank you! May God bless you always.